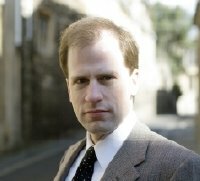 I have lots to say on Oxford Professor Dr. Nick Bostrom’s ‘Simulation Argument‘, which postulates that there is a significant chance that we are living inside a computer simulation being run by some advanced civilisation. In the meantime a good introduction to the argument might be the interview I did with Bostrom by phone this summer on KLPZ. I later presented this as a twenty-minute segment on PlayRadio UK with Tommy Boyd and Duncan Barkes (maybe I’ll get around to posting the audio from that too). Love this!!!!!! And the whole blog is very nice.